Methodism is marked by a desire for a simpler form of worship without a stringent insistence on the need for doctrinal conformity. Because the 18th century Anglican Church was moving ever further away from such desires the Methodism Sect formed a society within the Church of England. Its founder, John Wesley, never wished the Sect to leave that Church, but in 1795, four years after his death, there came a definite break from the Church of England. The Sect, now recognised as The Methodists, later broke up into various smaller schisms only to rejoin the Methodist Movement starting in the early 1900s. The largest group, the Wesleyan Methodists developed a government centered in an Annual Conference with the UK divided into Districts and the Districts into Circuits or groups of congregations. Ordained Ministers were appointed to administer "The Sacraments" but local preachers and laypersons, conducted the majority of other services. Within our local circuit two families, namely the Hornes and the Parrotts, were greatly involved in the introduction of Methodism to Normandy. James Horne was born in Salisbury in 1798. Before he was 17 years of age he joined the Royal Navy and served for four years. When he left the sea he settled in Adstock near Buckingham and in 1819 he married Mary Chitty of Poyle at her parish church of Seale in Surrey. Their first child, James, was born in 1820 in Adstock and they went on to have 11 more children (eight sons and four daughters), of which four sons and a daughter died in infancy. Following the birth of James the couple decided to move to Surrey, coming first to Flexford (where James senior set up as a schoolmaster), in addition to seeking other employment. He took a lease of Normandy Hill Farm in 1822 but when the lease expired the owner refused to renew it and in September 1847 James purchased from Thomas Pink the smallholding at Normandy crossroads. As mentioned in a previous article he named it "Mariners" probably because he had served in the Navy. James senior had determined to join the Methodist Society after listening to a sermon by the Rev W Breedon in 1819, given in the Wesleyan Chapel at Padbury near Buckingham. When James first came to Normandy there was no official place of worship, in what was then, a collection of small hamlets. The local Wesleyans were invited to meet at his house in Flexford and he joined in the worship at the Independent Chapel at Perry Hill, Worplesdon. He later took over preaching at Pinks Hill with Isaac Austen of the Sevenoaks Circuit, who had come to Godalming to work with the local preacher Mr Golding. 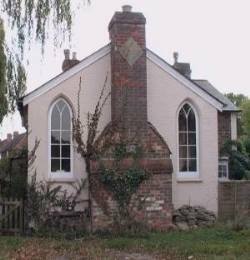 James was keen to extend Wesleyan worship to Normandy and so in 1853 he sold to the Rev Richard Chapman (on behalf of the Wesleyan Circuit), for the nominal sum of ten pounds, a piece of the eastern end of his Arable Plat that bordered on Glaziers Lane, and on which a small chapel had been erected. 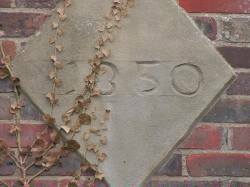 In 1861, James son Jabez preached his trial sermon in that chapel and was recommended to become a local preacher. James built a pair of semi-detached cottages, now The Croft and No.5 Glaziers Lane, adjacent to the chapel and his sons James and Joseph took up residence there with their respective families. The Parrotts' were another family closely associated with Methodism in Normandy. John Parrott brought his family to Normandy from Buckinghamshire in 1862. He purchased the Normandy Manor Estate and in 1871 his two sons William and John witnessed the Last Will and Testament of James Horse, who died in that year on the 26th of February. 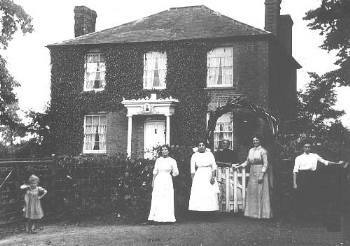 William and John Parrott both preached in the area and they opened their home at the Manor House for Circuit Meetings. In 1871 the Methodists purchased two pieces of land at Normandy crossroads from the Parrott family and in 1886 they built there, a large chapel in the First Pointed Gothic style. 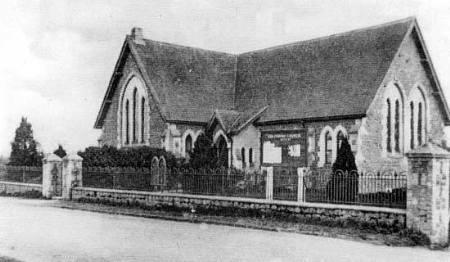 The old chapel in Glaziers Lane became redundant but was used in the early 1900s as an Evening Institute. The attendance at the new chapel flourished but by the 1950s it had dwindled to just a few of the faithful and in 1953 the chapel was de-consecrated and sold to C J Williams when it was converted and used as an architects' drawing office until 1965. The building became difficult to maintain and in 1970 it was demolished and houses were built on the site. "The Church in the Wilderness"